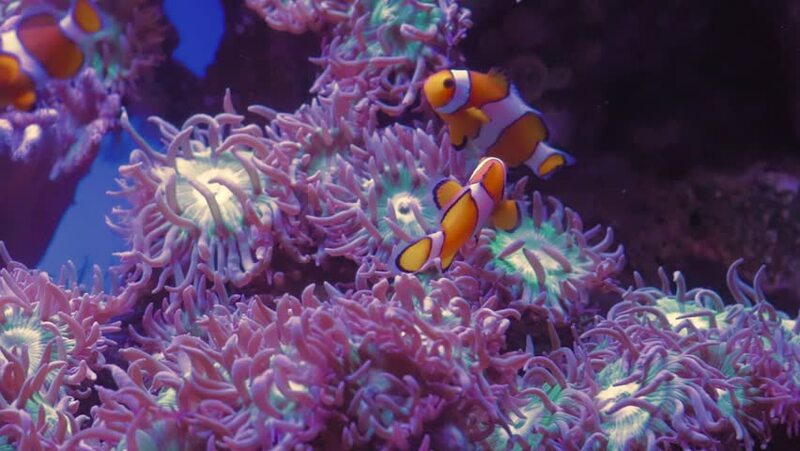 Clownfish is swimming in an aquarium between coral. hd00:20Beautiful sea flower in underwater world with corals and fish. 4k00:07Interior of a tropical fish tank with various colorful tropical fishes and corals. hd00:10Marine aquarium full of tropical fishes and plants. Stenopus hispidus. Reef tank filled with water for keeping live underwater animals. Gorgonaria, Clavularia.